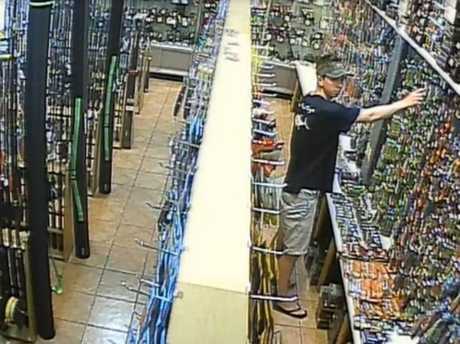 UPDATE: A man identified in CCTV footage stealing a $20 lure from Freedom Fishing in Maryborough has been slammed on social media. Staff member Amanda Drury said after calls from lure businesses all over Australia after the video was posted on social media lead to the man coming back to the store to pay for his lure and hand it over. She said other tackle shop business staff rang up saying the man was notorious for stealing. "We thank the public and the industry," Amanda said. Freedom Fishing got calls from Sydney all the way to 1770 saying he'd stolen from them as well. "We're all sick of it and it is a warning to the public that we're not going to mess around, no-one can hide," Amanda said. The video (above) got over 20,000 views in 24 hours and was shared about 400 times. It is believed the man, who lives in New South Wales, lost his job. Is is also believed he hit Camping World in Maryborough. EARLIER: STAFF members from Freedom Fishing Supplies in Maryborough say they are sick of thieves stealing small items such as lures from their store, after another shop-lift on Saturday. The moment two men took a $21.95 lure out of its case and put it in their pocket was captured on CCTV, which has been shared on social media. Staff member Amanda Drury was working behind the counter at the time of the offence, and said she had noticed the man acting strange as he left the store with his mate. "We were so busy that day and they were so quick," Ms Drury said. "But as he left he didn't want anything to do with me; he didn't want any advice about where to fish or anything like that; I thought he was being really rude. "Well that was because he had a lure in his pants." The footage shows two men, one wearing a black shirt and the other a white shirt, picking the lure from the shelf before pocketing it. Ms Drury said it was something that happened regularly. "That's the thing with fishing gear, lures can be so small but so expensive," she said. "It's like jewellery that's not locked away." The store has not made a police complaint, but is planning to contact the authorities if no one responds on social media. "If someone recognises them, ring them and tell them to bring it back or pay for it," Ms Drury said. "Or we'll call the police." 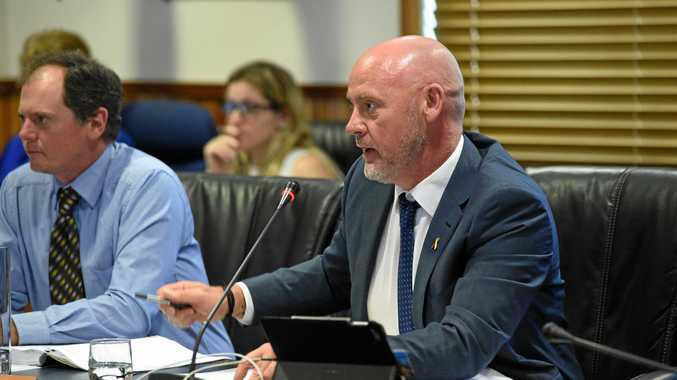 How much did Fraser Coast welfare cheats rip off taxpayers?